Junction Five-O-Five is dedicated to enhancing the quality of life for adults with disabilities by providing them with the opportunity to enter the workforce. When an employer decides to hire an individual that would benefit from job coaching, several things happen. First, we compare the job requirements to the qualifications of those applicants interested in a job. We maintain an applicant pool and are selective in screening these applicants for their ability to successfully perform the required job duties. This process of job matching helps us to ensure satisfactory placements with high job retention rates. Next, a trained supervisor is sent to the job site to learn the procedures necessary for satisfactory completion of the job tasks. This supervisor, or "coach" is offered at no charge to the employer or to the employee. Then, after the coach is familiar with the tasks, the hired applicant is brought on site and training begins. This coaching process guarantees the employer has no loss of quality or productivity during the training process. The coach will remain on site with the employee until the coach and employer are satisfied with the performance of the new employee. Finally, a period called "fade out" begins. Fade out at the job site means the coach will leave the employee periodically during working hours. This is the beginning of the final phase of separating the coach and the employee. At the end of fade out, the employee will be self-sufficient and integrated into his/her particular job setting. For the duration of the employment, an employment specialist will make contact twice a month with the employee/employer to ensure that job duties continue to be performed successfully. Like the job coaching, there is no charge for this service. If at any time problems develop at the work site, the job coach and/or the employment specialist will be available to provide various services that are directed toward supporting the successful employment of our consumers. A Winning Combination — For the consumer, employment will give them dignity, as they become contributors to their community. Junction Five-O-Five is a private not-for-profit business that has been certified by the Texas Department of Assistive and Rehabilitative Services (DARS) as a Community Rehabilitation Program (CRP). To maintain this certification, Junction Five-O-Five complies with all of DARS' standards and undergoes regular audits. Junction Five-O-Five also qualifies as a Day Habilitation Program through Health and Human Services (HHS) and complies with those standards as scrutinized by audits. Housing and Community Services (HCS) is another program with whom Junction Five-O-Five holds a contract, abides by all standards, and is open to audits. There is one contract TIBH — performing the duty of cleaning roadside parks for two counties: Robertson and Washington. There are minimal standards associated with this contract. Attached is an explanation and description of our services. 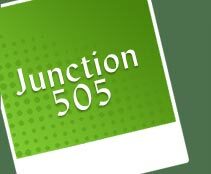 Junction Five-O-Five provides various services to help our consumers reach their goals.